Reflect has announced a new multi-year partnership with the Los Angeles Angels to manage all hosted services and oversee the setup and delivery of branded content and advertising to the team’s famous “Big A” digital sign. Reflect’s signature ReflectView platform will handle all application, server, storage and network infrastructure, giving the Angels organization a flexible plug-and-play solution for peak performance and minimal impact on internal resources. Reflect’s comprehensive rich media solutions will ensure a smooth execution of key program activities, including importing content, creating and assigning playlists, delivering playlists and digital content to media players, and of course, ensuring the content plays on the screen. The 230-foot, 210-ton sign will continue to deliver the advertising and branded and promotional information fans have come to expect. 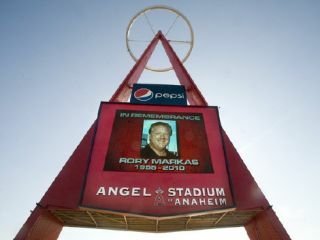 The sign will also continue to be illuminated following every Angels win.